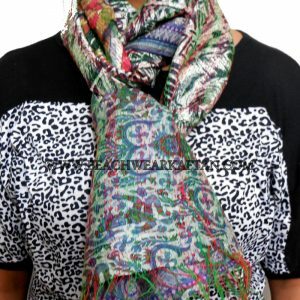 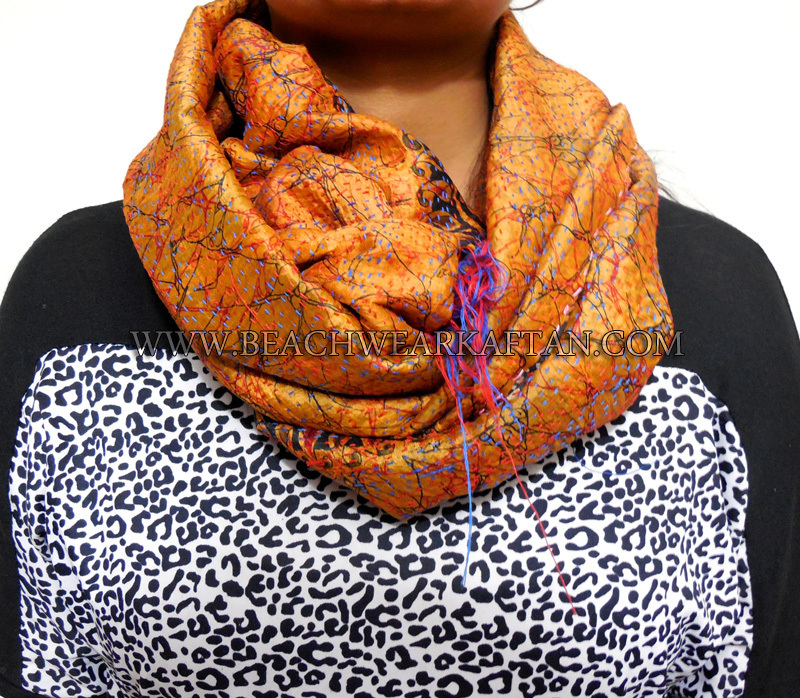 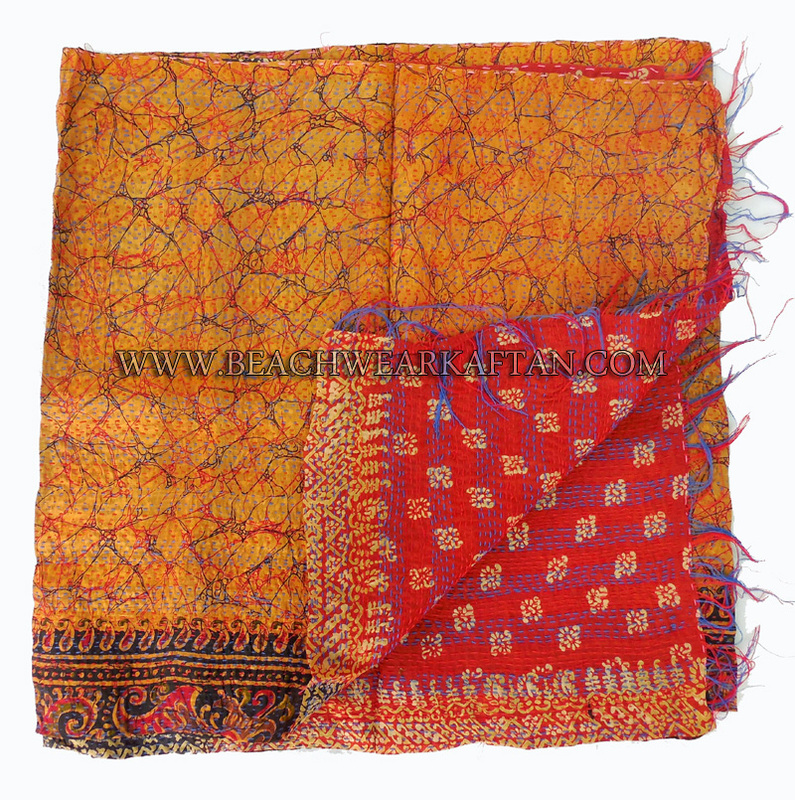 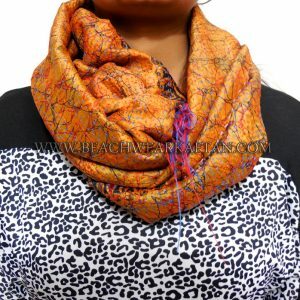 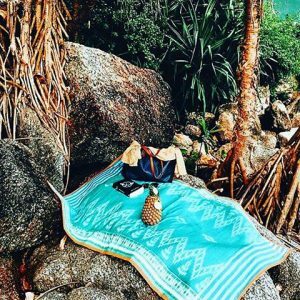 This is a special hand crafted Kantha work scarves. 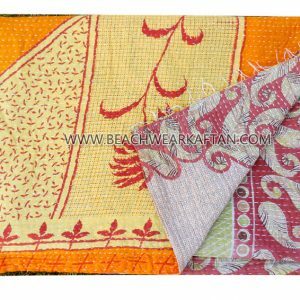 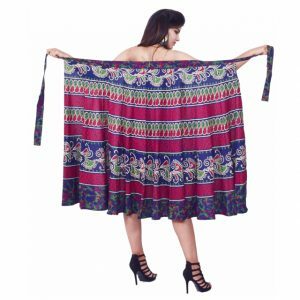 This work is done in countryside that provides work and livelihood for women in COUNTRYSIDE.The entire scarves is painstakingly embroidered with thousands of small and delicate kantha stitches to create a one of a kind masterpiece! It is made from vintage old silk saris, and softly quilted . 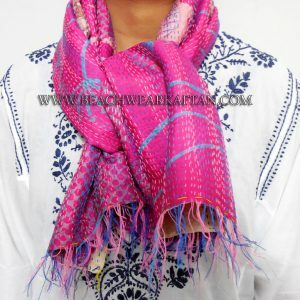 It is embroidered by artisans in countryside.